For 2013 a faculty of over 130 leading experts, coming from more than 20 different countries worldwide will assemble some of the finest members of the Sports Medicine industry to share their expertise. Isokinetic (the event organisers) pride themselves on an integrated and multidisciplinary approach to rehabilitation and this is reflected in the conference, which will cover each stage of the injury continuum; including prevention, diagnosis, surgery and rehabilitation. Historically delegates have come from both elite and recreational sport, ranging from doctors and surgeons to physiotherapists and fitness coaches. Key decision makers from Premier League and Champions League clubs will also be in attendance alongside colleagues from national associations, leading academic researchers and surgeons. For the second consecutive year, the conference will be held in London – a city renowned for its international community and home of the recent 2012 Olympic Games. In the very heart of London, The Queen Elizabeth II Conference Centre is uniquely situated in the shadow of Big Ben, Westminster Abbey and the London Eye. This this award-winning, purpose-built venue was also the base of Casa Italia (home of the Italian Olympic Committee) during the London Olympics. The 2013 conference will benefit from parallel sessions in large auditoriums, with capacities of 980 in the ‘Fleming Room’ and 700 in the ‘Churchill Auditorium’. A communal networking area (a British Agorà) will assist in providing scientific updates to an international community and the exhibition area, situated on the third floor, will host working lunches and coffee breaks for both delegates and speakers. In 2012 there were over forty exhibitors were at this unique event; from an extensive range of companies operating within the Sports Medicine and Sports Science fields, from those in orthopaedic and pharmaceutical markets to others in sports nutrition and health services. 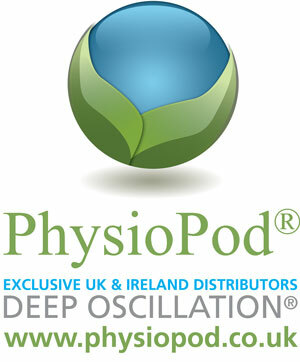 PhysioPod™ UK Ltd and Physiomed Elektromedizin will exhibitor in the Whittle Room on Stand 6 and will demonstrate DEEP OSCILLATION® units includingthe DEEP OSCILLATION® Evident SPORTS, the HIVAMAT® 200 and the DEEP OSCILLATION® Personal SPORTS. is pictured above, treating Alex Munnoch, Consultant Plastic surgeon, Ninewells Hospital, Dundee with DEEP OSCILLATION® at the MLDUK 2012 Conference. Since the Conference both Willem and Alex are working successfully with the therapy. Internationally patented DEEP OSCILLATION® which will be demonstrated at the event. It is non-invasive and non traumatic and is applied through vinyl gloved hands or applicators. It permeates a depth of 8cm, with minimal pressure, making it the perfect treatment in the acute injury stage where normal sports massage is contraindicated. 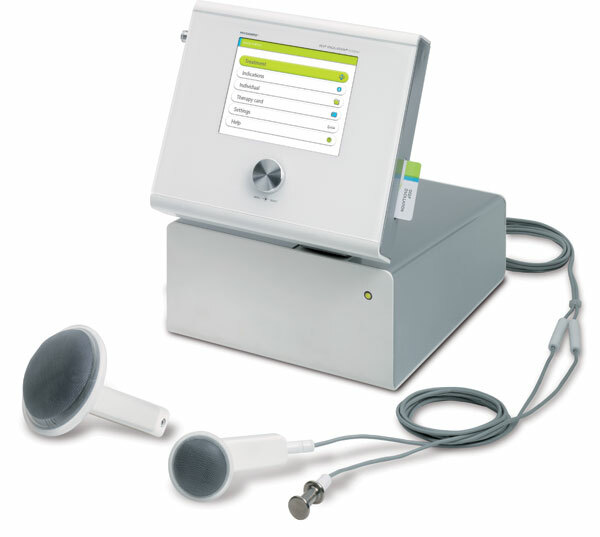 DEEP OSCILLATION® is clinically proven to reduce pain, swelling and bruising, with smoother resultant scar tissue. Early treatment equals an earlier return to the game. Michael Schleissling of Physiomed, will discuss the CON-TREX® system with visitors to the stand. CON-TREX® modules are used for biomechanical testing, training and therapy machines for rehabilitation, sport and research. 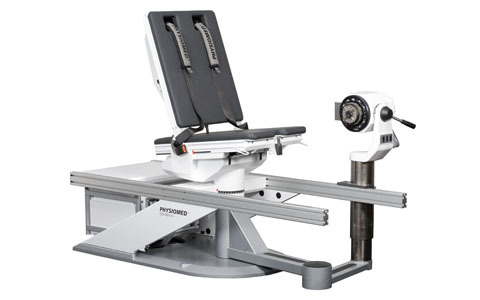 They work in isokinetic, isometric and isotonic movement modes as well as with continuous passive motion (CPM), freely definable position profiles and bio-feedback. PhysioPod™ UK Ltd are the UK/Ireland exclusive distributors for the range of Physiomed Elektromedizin AG high-quality products for physical and biomechanical diagnostics. Therapy forms are based upon state-of–the-art technology and their mission is to realise innovative solutions, with the objective of perfecting therapeutic work and developing new groundbreaking approaches to therapy and diagnostics. “It was pleasing to see such a strong international Football Medicine Community attend the conference and is particularly encouraging for the development of both Sports Medicine and Sports Science within football"
PhysioPod™ UK Ltd greatly look forward to seeing you there..